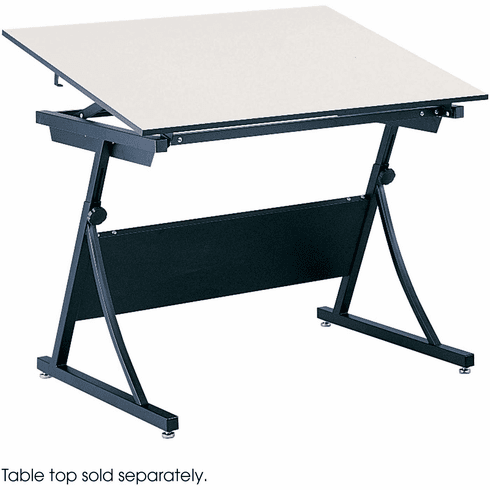 Draft your projects with amazing comfort, accuracy and an attractive style and using this Plan Master height adjustable drafting table by Safco. The draft table is very easy to raise using the built in spring mechanism and the top of the table can adjust up to 50 degrees. The base is made of heavy duty steel which can support huge loads. Adjustability Height: 29 1/2" to 37 1/2"
Product Height: 29 ½ to 37 ½"